Born on this day in 1891, Vittorio Jano was among the greatest engine designers in motor racing history. Jano's engines powered cars for Fiat, Alfa Romeo, Lancia and Ferrari during a career that spanned four decades, winning numerous Grand Prix races. 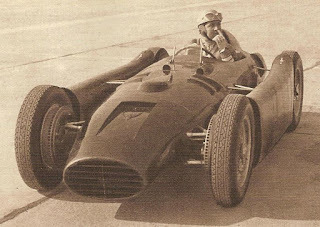 The legendary Argentinian Juan Manuel Fangio won the fourth of his five Formula One world championships in Jano's Lancia-Ferrari D50, in 1956. Almost 30 years earlier, Jano's Alfa Romeo P2 won the very first Grand Prix world championship in 1925, while its successor, the P3, scored a staggering 46 race wins between 1932 and 1935. He worked for Ferrari from the mid-50s onwards, where his greatest legacy was the V-8 Dino engine, which was the staple of Ferrari cars on the track and the road between 1966 and 2004. Jano's parents were from Hungary, but settled in Italy, where his father worked as a mechanical engineer in Turin. He was born in the small town of San Giorgio Canavese in Piedmont, about 35 kilometres north of Turin, and was originally called Viktor János. 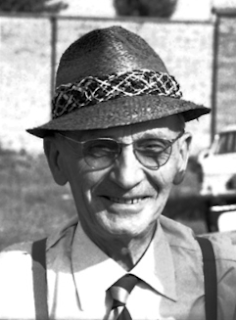 Following his father into engineering, he joined Fiat at the age of just 20 and by 1921 was head of the design team. Two years later, partly on the recommendation of Enzo Ferrari, then a young driver, he was hired by Milan-based Alfa Romeo, who were keen to raise their profile by becoming a successful name on the track. They almost doubled his salary from 1800 lire per year with Fiat to 3500 lire per year but it was money well spent. Jano's P2 car won its debut race in 1924, driven by Antonio Ascari, and gave the company the Grand Prix world championship the following year. Its successor, the P3, was the first genuine single-seat racing car in Grand Prix racing. Like the P2, it made a successful first appearance on the track, winning the 1932 Italian Grand Prix in the hands of the great Italian driver Tazio Nuvolari. By this time Jano was effectively working for Ferrari. Enzo had switched roles from driver to team manager and his Scuderia Ferrari had become Alfa Romeo's works team, taking over the racing operation completely when the parent company hit financial troubles in 1933. But before he became a Ferrari employee, Jano returned to Turin in 1937 to join Lancia as chief development engineer. Jano was involved in making aircraft engines during World War II but returned to building cars, launching the successful D24 road racing car and then the D50 Formula One car, again for the Scuderia Ferrari team. He moved to Ferrari in 1955 after Lancia, stunned by the death at 36 of their main driver, Alberto Ascari, during a test session at Monza, stepped away from racing. Ironically, Alberto's father, Antonio, had died at the wheel of Jano's Alfa Romeo P2 during the French Grand Prix of 1925, also aged 36. Ferrari took over Lancia’s Grand Prix operations and Jano moved to their headquarters at Maranello, just outside Modena in Emilia-Romagna. At Ferrari, Jano began working on a V-6 engine for Formula Two cars with Enzo’s son, Dino. Tragically, Dino died in 1956, struck down with muscular dystrophy, a year before the engine's debut. The V-6 Dino engine was a commercial success, used in many of Ferrari's road-going vehicles before it was superseded in the mid-1960s by the V-8 version, which would eventually become the staple for Ferrari's luxury sports car range, from the 308 GTB produced under the original Dino badge in 1973 to the Berlinettas and Spiders in the 1990s, phased out only after the Modena 360 was discontinued in 2004. Jano died in 1965, a month short of his 74th birthday, from self-inflicted gunshot wounds after being diagnosed with cancer. 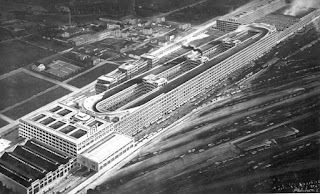 It was during Vittorio Jano's time at Fiat that the company was building its iconic factory in the Lingotto district of Turin, famous for a production line that progressed upwards through its five floors, with completed cars emerging on to a then-unique steeply banked test track at rooftop level. At the time the largest car factory in the world, built to a starkly linear design by the Futurist architect Giacomo Matte Trucco, it was closed in 1982 but reopened in 1989. Redesigned by the award-winning contemporary architect Renzo Piano, it now houses concert halls, a theatre, a convention centre, shopping arcades and a hotel, as well as the Automotive Engineering faculty of the Polytechnic University of Turin. The rooftop track, which featured in the Michael Caine movie, The Italian Job, has been preserved and can still be visited today.